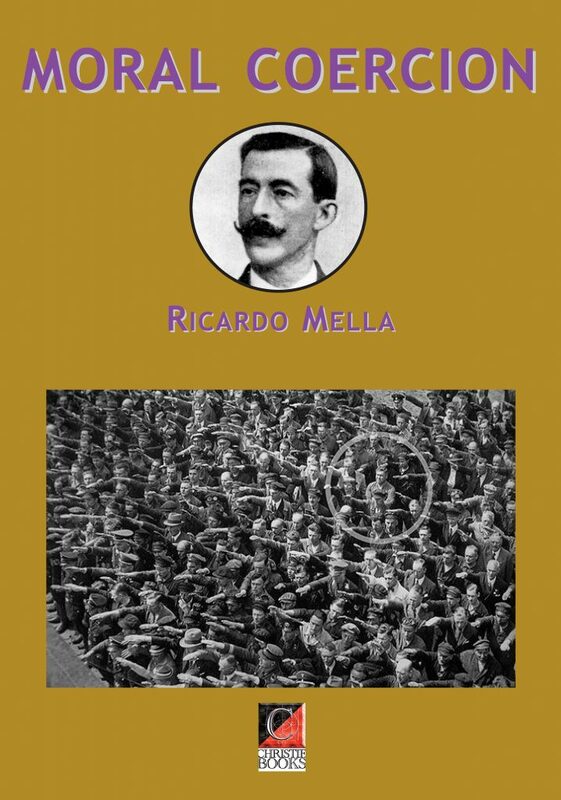 Galician-born surveyor Ricardo Mella (1861-1925) is regarded by many as one of the major theorists of anarchism in Spain. His moderate tone and outlook set the keynote for fellow-anarchists in Galicia and Asturias as he oposed jacobinism, regionalism, political socialism and extremism of any hue. While many embraced Ferrer’s rationalist educational methods, Mella campaigned for “neutral” education. Himself an anarcho-collectivist by inclination, he was one of those who brought Spanish anarchism out of the ghetto and into the workplace. His wide reading, incisive mind and preparedness to tackle the big subjects without going for extremist position has left a lasting imprint on the libertarian movement in Spain. In this work he considers the question — Can society really cope without law and government? What is the nature of moral coercion? How does it manifest itself in human relationships? What is its role in a free and egalitarian society? and how modern capitalist society turns moral coercion on its head. “Whenever we posit that in a free society founded upon equality of condition moral coercion will be enough to maintain the harmony and peace between men, we are stating something that cries out for clear and precise proof. “Folk being used to the belief that everything that happens in the world happens by the efforts and grace of governments, and persuaded that they themselves count for nothing in the life of society, so much so that they think of themselves are mere cogs in the machinery of government, it is going to be hard to explain to them how human society might function with no compulsion other than that deployed naturally and mutually by the members of society. So, even though the impact of moral coercion may be a self-evident fact today, we need to show that the world dances to the tune of said mutually suggestive force and that it, on its own, is enough to ensure that human groups with sound foundations can develop and survive.